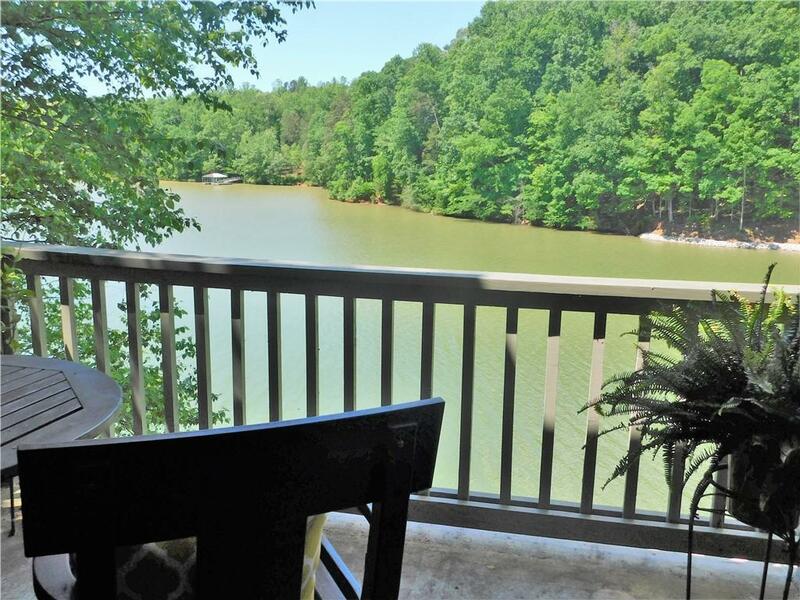 Enjoy gorgeous Lake Keowee views from this highly renovated waterfront 2 bedroom/2.5 bath condo in Loran Pointe, just steps from your designated Boat Slip. Enjoy your morning coffee on the cozy screened-in porch or sunbathe from the deck. Main level is open with stacked-stone wood-burning fireplace, cathedral ceilings and gleaming hardwoods which flow into the dining area and kitchen. The updated kitchen has granite counter-tops, new custom cabinetry, newer appliances and sink. Sliding barn door off kitchen leads to laundry room and guest bath. Upstairs you will find a great loft area that can be used as an office and two large bedrooms. The master bedroom has its own private balcony overlooking the lake and a new walk-in shower in the master bath. Some of the many updates the owner has installed since purchasing in 2014; new upper & lower heat pumps, new flooring, new appliances, new custom cabinetry, new granite, new bathroom fixtures, new stacked stone and mantle on the fireplace, new paint and much more! This is a great opportunity to buy an affordable lakefront property close to town. 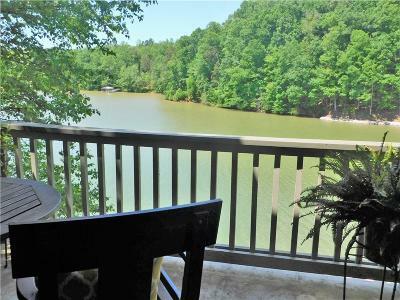 The Keowee Marina and Tiki Hut is just around the corner, and Seneca & Clemson are just minutes away. Don't delay. These units are highly desirable and rarely come-up for sale, particularly at this price! Rentals are allowed in the Loran Pointe complex.